In general, trees absorb carbon dioxide and harmful gasses from the air, including sulfur dioxide and carbon monoxide. Trees also release oxygen into the air we breathe; one large tree can supply a day's supply of oxygen for four people. Trees also create an ecosystem to provide habitat and food for birds and other animals. Throughout the ages, forests and large tree stands have provided space for human retreat and as places for people to meet. Tree plantings provide an opportunity for community involvement and empowerment. As landmarks, distinctive trees can forge a new identity for a neighborhood and encourage civic pride. Shade from trees slows water evaporation for plants below their drip lines. Most newly planted trees need only fifteen gallons of water a week. And, as trees transpire, they increase atmospheric moisture. Trees can also help prevent water pollution by reducing runoff. When mulched – either by shedding its own leaves and other elements or added by people, trees act like a sponge that filters this water naturally and uses it to recharge groundwater supplies. And most importantly for this proposal, trees provide healthy and delicious food. For example, an apple tree can yield up to 15-20 bushels of fruit per year for humans, birds and wildlife. 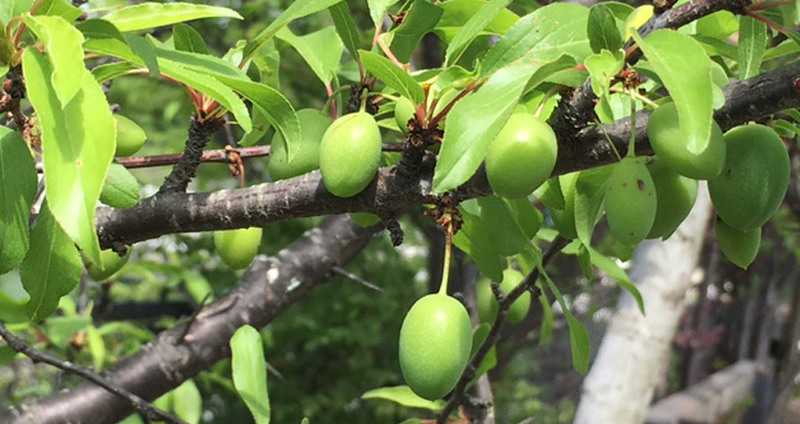 Last but not least, fruit tree harvests encourage community involvement!